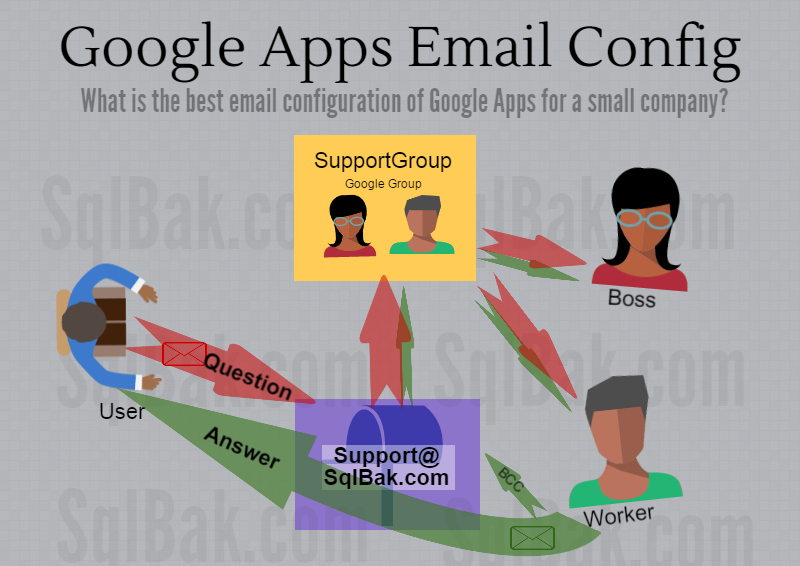 How to configure emails in Google Apps in a typical small business? Lets say you want to be smart and use MyName@MyDomain.com instead of MyName912@gmail.com – I won’t insult your intelligence telling you why. If you have never used Gmail, just register MyName@MyDomain.com as an account with Google, then follow instructions. More often however you have a Gmail account already and just want to use your own email to login and give to public while keeping all of the benefits of your current Google Account. So we are talking about transition from Gmail to your own email. To do that you have to add your new email to your existing Gmail account. Go to Google Account, Personal Info > Email > Other Emails > “Add a new alternate address” and add your new address. If you get “MyName@MyDomain.com is already associated with another Google Account.” error, you are out of luck – you have 2 accounts and no way of merging them. Close one of the accounts, then use the remaining to add the email from closed. If that step worked correctly – all what is left to do is redirect all emails from MyName@MyDomain.com to your old Gmail account (probably deleting the original copy) – that would take care of receiving email and Gmail will take care of sending. This is similar to “Add another email address you own” feature in Gmail Settings > “Accounts and Imports”. But this option requires you to use your own SMTP server. Why not always use the Alternate email addresses option that we’ve discussed above? – you can ask. Because it can only be associated with one Google Account at a time, so it won’t work in a scenarios when you need to use an account as a shared group email.